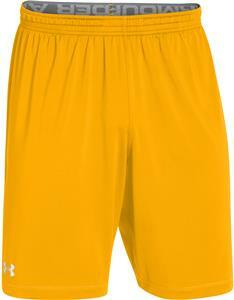 Under Armour Team Raid Loose Fit 10" Shorts. Exposed branded elastic waistband with internal drawcord. Lightweight HeatGear fabric is ultra-soft & smooth for extreme comfort. UPF 30+ protects your skin from the sun's harmful rays. Top Selling Item. WAIST 28-29" 30-32" 34-36" 38-40" 42-44" 46-48" 50-52"
WAIST 23" 23.5-24.5" 25.5-26.5" 28-29.5" 31-32.5"
Best shorts made by Under Armour!